Situated on the Hobart Waterfront the Hotel Grand Chancellor is Hobart’s premier conference venue. You can’t help but feel like you have not only attended the conference but also visited somewhere unique and special. Hobart has a range of world-class experiences for you to enjoy while you are visiting. Below are some of our favourite destinations or visit www.discovertasmania.com.au for more ideas. Departing every 30 minutes, SkyBus operates from the Hobart Airport to many Hobart hotels. Please click here for more information. The main taxi service providers in Hobart are 13 CABS and 131 008. Taxi ranks are located at the front of terminal– simply follow the signs to the nearest taxi ranks. Fares to the Hobart CBD from the airport are approximately $45 one way. 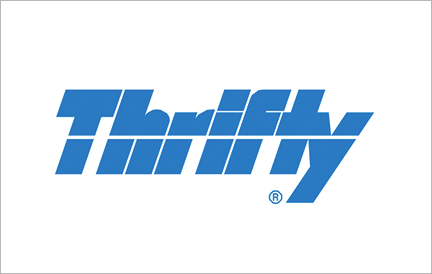 Thrifty Car Rental are offering a special deal to AILA Conference Delegates. Unlimited kilometres and an additional 10% discount when booking. The $50 one way fee will also be waived should you wish to drop the car off in Launceston. When booking please quote or enter online the code BET10. Australian Tourism Legend Robert Pennicott and his team of passionate local guides have been sharing Tasmania with travellers since 1999. Our award winning journeys highlight spectacular scenery, wildlife, food and wine. Whether you choose Bruny Island Cruises, Tasman Island Cruises, Bruny Island Traveller, Iron Pot Cruises or Tasmanian Seafood Seduction you won’t be disappointed! Pennicott Wilderness Journeys has something for everyone… Tours and cruises depart from Hobart, Bruny Island and Port Arthur. AILA Conference delegates will receive a 15% discount on any of the Pennicott Tours, simply quote the conference when booking. Nestled amongst 28 acres of native vegetation and only 30 minutes drive from Hobart CBD, Bonorong Wildlife Sanctuary is run to protect and assist our wildlife. 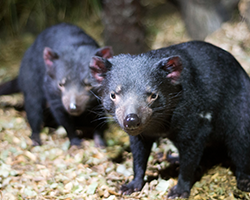 Showcasing our unique Tasmanian fauna, visitors are able to explore the sanctuary at their own pace, enjoy one of the daily public tours or get up close in a behind-the-scenes experience. A location for locals and tourists alike, Bonorong aims to promote an inspiring conservation message that will stay with each visitor long after they have passed through the gates. AILA delegates will receive a discounted general admission rate of $27.00 per adult (normally $31). A $25 discount is also available on the Night Tour, $140 per adult (normally $165). Please show your conference name badge when purchasing your tickets. Kunanyi/Mt Wellington is a wilderness experience just a 20-minute drive from Hobart and is much loved by locals. The 21-km drive to the summit passes through temperate rainforest to sub-alpine flora and glacial rock formations, ending in panoramic views of Hobart, Bruny Island, South Arm and the Tasman Peninsula. There are barbecues, picnic facilities and bushwalking trails for all fitness levels. Mountain activities also include trail biking and abseiling. Park entrance fees do not apply and there are no opening or closing hours. A choice of two half day tours designed to cater for visitors with limited time to explore Tasmania’s cool-climate vineyards and the historic village of Richmond, or a choice of two full day tours taking in southern Tasmania cool-climate wines and MONA or wine, Willie Smiths Cider and Huon Valley. Tours from $99 per person departing from Hobart CBD with CBD hotel drop-off. Call Boutique Wine Tours Tasmania +61 415 387 887 or visit the website.